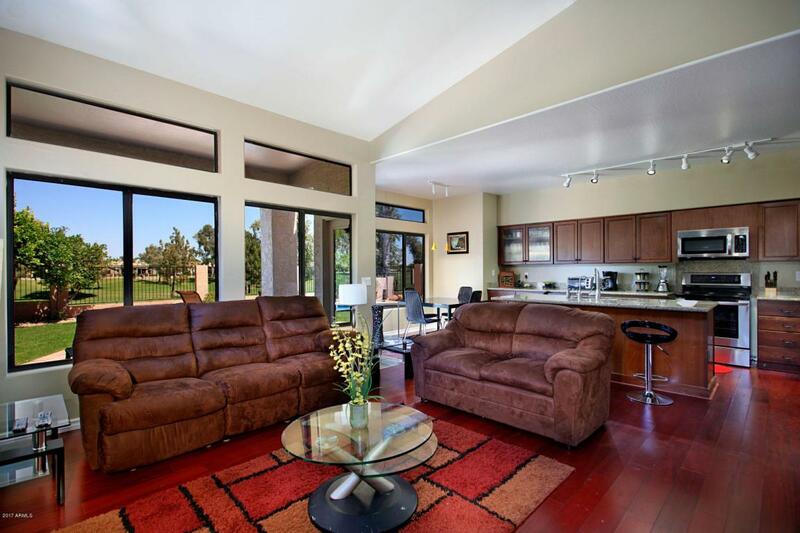 This charming two-story home sits nestled in a quiet neighborhood and backs up directly to the Ocotillo Golf Resort. 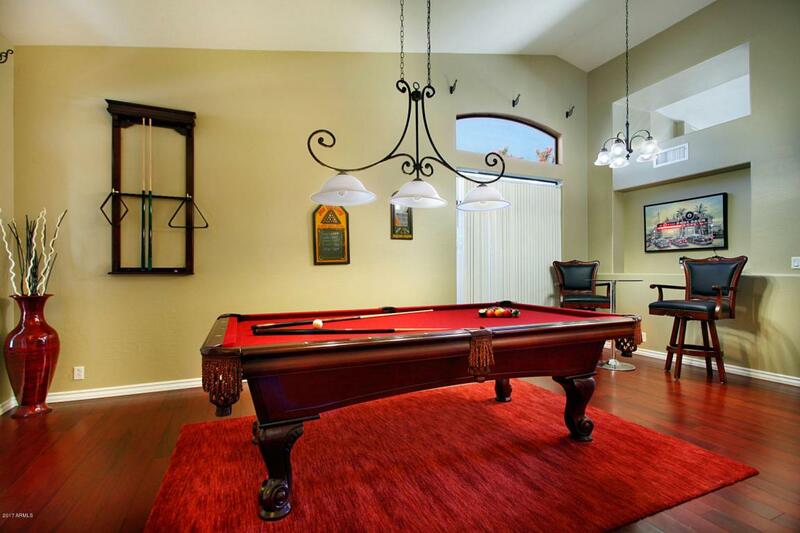 Immediately after walking into the front room you will find a regulation size pool table and a high-top sitting area. The kitchen has been completely refurbished, equipped with a walk-in pantry, granite countertops, a Samsung refrigerator/freezer with separate climate-controlled compartments, built-in microwave, and a sleek black breakfast table that seats four. 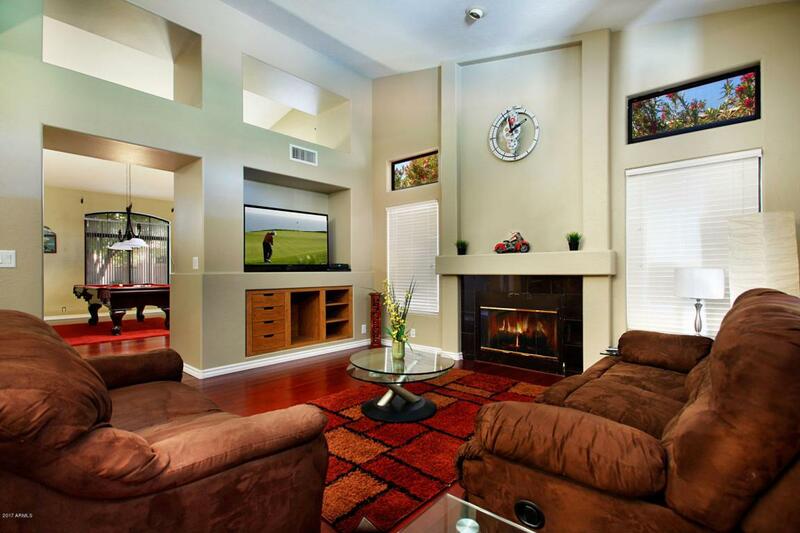 The living room has a flatscreen TV, fireplace, built-in media cabinet, leather couches, and vaulted ceilings. The downstairs master bedroom features a king size bed, flatscreen TV, new carpet, and private access to the outdoor patio.This home is fully furnished including utensils and linens. 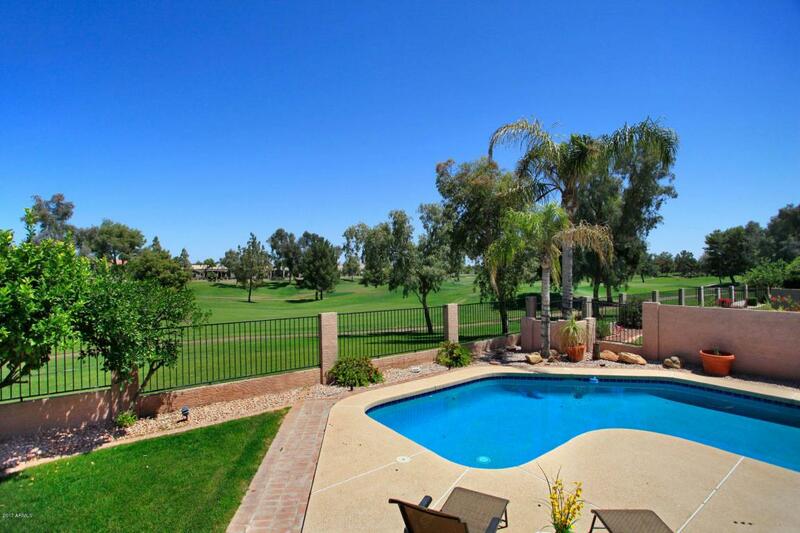 Price does not included pool care, landscaping or utilizes. Both pool care and landscaping can be offered as a paid service.